San Francisco, CA—Breast Cancer Action (BCA) learned today that its efforts to deliver a message to Eli Lilly & Company via a billboard in Indianapolis have been blocked. The message: “Eli Lilly is making us sick. Tell them to stop” was rejected by every billboard company in Indianapolis, Lilly’s hometown. Despite working within the guidelines of each billboard company contacted, the advocacy group has been turned down because of the content of the message. 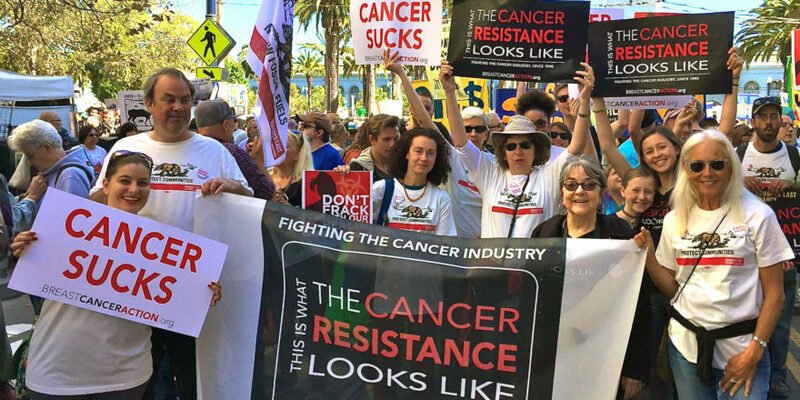 At a time when political advertizing across the nation has reached an all time high, the rejection of BCA’s message raises critical questions about who controls the media when it comes to public health. “We are talking about women’s health here. A breast cancer organization’s message about the impact of a drug company’s behavior is being kept off billboards in the company’s home town. When corporate influence runs this deep, the public should be outraged. We certainly are,” said BCA executive director, Barbara Brenner. The public’s health is at stake. Eli Lilly is the sole worldwide manufacturer of rBGH (recombinant bovine growth hormone also known as rBST) which is sold under the name Posilac and has long been linked to cancer. The artificial hormone is given to dairy cows to stimulate milk production. Breast Cancer Action’s “Milking Cancer” campaign demands Eli Lilly stop manufacturing the artificial stimulant rBGH. In September 2010, signatures were gathered from over 6,732 individuals—one for each day that rBGH has been on the market—committed to delivering a message to Eli Lilly via a billboard in Indianapolis. For more information see www.milkingcancer.org. Breast Cancer Action is a non-profit education and advocacy organization that does not accept funding from pharmaceutical companies or any other organizations that profit from or contribute to the breast cancer epidemic.